WAR EAGLE and Welcome to Auburn University! In lieu of mailing a confirmation letter through international mail, please see the information below. Please also be on the look out for an email sent to your Tigermail account about a week before the session with additional details. CHECK-IN: Student and guest check-in is from 7:30 am – 8:00 am Central Time in the Auburn University Student Center. Please plan to arrive between 7:30 am – 7:45 am. Click here for a campus map and more details on where to park. SOS Staff will have a parking pass for you when you arrive. SCHEDULE: Click here for tentative SOS student and parent schedules. You will receive a detailed schedule when you check in at your session. 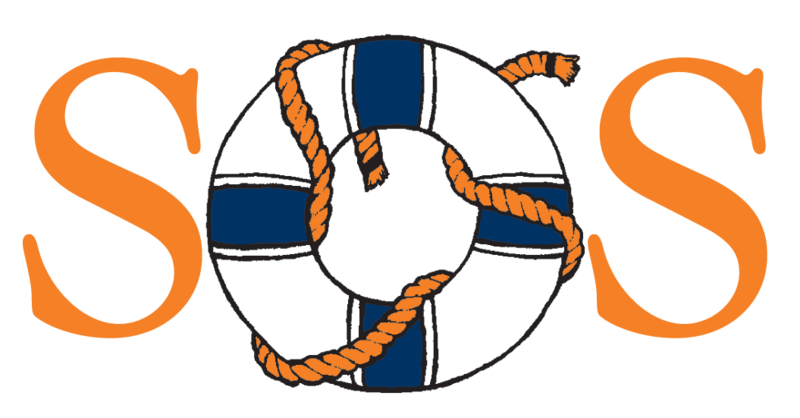 We also encourage you to utilize Auburn Guides, a mobile app containing the SOS schedule and other resources. To download the app, visit the App Store/Google Play, or go to guidebook.com/app/AUGuides. Blackberry and Windows phone users may visit the mobile website at guidebook.com/g/auburnsos18. PARENTS AND GUESTS: There will also be a separate parent/guest program that runs concurrently with the student program. If your parent/guest would like to attend but has not yet registered, please call our office at 334-844-4501. Please note that there is a $50.00 per guest fee. That fee will be charged to your student account and is nonrefundable. DECLARATION OF MAJOR: You are assigned to a particular school or college (Engineering, Business, etc.) based on what you stated on your application for admission. You may request a major change before SOS. If you met the March 1st/October 1 Priority Registration Deadline, please contact the college of your new desired major so an advisor can change your major. Phone numbers for each college can be found at auburn.edu/academicadvising. Please note that if you change your major after March 1st/October 1st, your registered scheduled will not be changed by your advisor. You will be responsible for making any schedule changes once your time ticket opens after SOS. If you did not meet the Priority Registration Deadline, please call the Office of Admissions Processing at (334) 844-6429 so they can change your major. Please make all major change requests as soon as possible. MEDICAL FORM: Upon acceptance to Auburn, you are placed on hold by the AU Medical Clinic until your submission of the required Medical Information Form. You can find the form at auburn.edu/medicalforms. You will use Med+Proctor to submit the form and you should do this as soon as possible to clear this hold permanently. If you are unable to complete the form by your SOS session, you can complete an electronic Letter of Understanding (LOU) to clear your medical hold temporarily. You may access the LOU in AU Access (“My Academics” tab, then click the “Student Menu” icon, then the “Temporary Waiver of Medical Hold” link). Completion of the electronic LOU will grant you a temporary exception to the medical hold so you can register for classes once your time ticket opens. You will have 30 days after your SOS session until the medical hold is placed back on your account. If you have any questions concerning the form, please call the AU Medical Clinic at (334) 844-4416. REQUEST FOR SPECIAL ASSISTANCE: If you need any special accommodations during the SOS session, we ask that you let us know as soon as possible, but at least two weeks before your arrival. We will be happy to assist you. This includes all dietary, mobility, health, and communication needs. Please also inform the Office of Accessibility at (334) 844-2096 if applicable. TIGERCARD: You can now submit the photo for your Tiger Card online before you arrive. Check out more information at auburn.edu/tigercard/upload-photo.html. 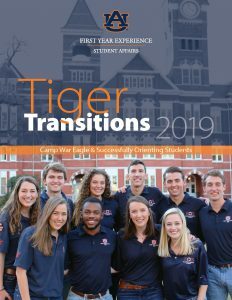 If your submitted photo is accepted at least three days prior to your SOS session, you can pick up your Tiger Card at your session. If not, you can get your picture made and pick up your card at the end of the SOS session. AU ALERT AND EMERGENCY CONTACTS: Before attending SOS, you should register your cell phone number in AU ALERT, Auburn's emergency notification system, and your emergency contacts using the form at auburn.edu/emergencycontacts. FINANCIAL OBLIGATION AGREEMENT: Before any class registration activity may take place, you must complete the agreement. Log into AU Access and click the link under the “My Academics” tab. You will be required to complete this only one time in your Auburn career. Students: Please begin checking your Auburn University Tigermail account regularly for important information. Once again, we are happy that you will be with us, and we will do our best to serve you during your orientation experience. Should you have any questions or concerns, please contact us at 334-844-4501 or fyedesk@auburn.edu.